New stuff, special buys, closeouts, a little bit of everything here. . I will be placing a custom Wyeast order Friday January 19th for delivery by Friday January 26th 2018. Wyeast liquid brewing yeast offers a wide variety of beer wine and distilling yeast for the home brewer. For available strains go to wyeastlab.com and you will find all the information you need. Remember I need your orders by 6 am on Friday January 26th to be included in this order. What's Hot Or New? What's on the Homebrew Schedule? Spring is right around the corner. Time to start hop yard planning. Adding to an established hop yard or starting out new? Either way you will need hop rhizomes. Hops can be grown at home with success in the Midwest, some varieties are more prolific growers and hop cone producers than others. Cascade, Magnum and Nugget are good choices for those growing hops for the first time. We are now taking pre-orders for 2017 hop rhizomes for Spring planting. These are stout #1 high quality hop rhizomes that are ready to grow. Sourced direct from a Pacific Northwest grower. Your order is needed by 6 am Sunday, March 5. Hop rhizomes arrive by the end of March. Down payment of 50% due at time of order. Balance due at pick up. You may mix and match hop rhizome varieties. Minimum order is 2 hop rhizomes. $3.99 each ( 20 or more). Tonight 5:30 to 8:30 Hop Heads Homebrew club meeting-Come check them out! I will be placing an Omega liquid yeast order for delivery by next Friday June 24th. Now accepting custom orders for this order. The deadline for orders is this Thursday June 16th at 8 pm. Pricing is $7.50 per package. Omega liquid yeast has more cells than their competitors. They offer several popular strains including DIPA, Brett, Saison and more. For more information, go to www.omegayeast.com and click on the homebrew tab. There you will find all the information needed to make your selections. Custom ordering allows you to have the yeast you need when you need it. Homebrew Supply of Southeast Missouri will be closing this Saturday at 11:30 am so that we can participate in Mary Jane Homebrew block party in Perryville, Mo. It is from noon to 4 pm just off the square in front of Mary Jane Burgers and brew. Come join us if you can. Homebrew Supply of Southeast Missouri will be placing a Wyeast order for delivery next week by Friday May 20th. I will need your orders by this Friday May 13th in order to ensure your order gets placed. For information go to wyeastlabs.com. Pricing is $7.50 per pack. Homebrew Supply of Southeast Missouri will be having a home beer wine and mead making demonstration day on Saturday May 7th 2016 from 8 AM until 2 PM. Beer making demonstrations will start at 8 AM and continue until 2 pm. Wine and mead making demonstrations will begin at 11 AM until 12 noon. Come on out and see how easy it is to make your own beer wine or mead at home! Hop Rhizomes have arrived and I have a few select plants available for purchase to the public. They sell for $4.79 each or 6 or more for $4.29 each. I can also offer Coir twine for use with your hop vines. These are made from Coconut husks and are biodegradable. A bundle of 10 strings 20' long each sells for $6 or $1 for a single 20' string. Homebrew Supply of Southeast Missouri will be having a home beer wine and mead making demonstration day on Saturday March 5th 2016 from 8 AM until 2 PM. I will be placing an order for Omega liquid yeast on this Friday February 26th with Delivery by Friday March 4th. I will need your orders no later than Thursday February 25th at 9 pm. Omega yeast packs contain more cells than the competitors and our customers have had excellent results. Please place your orders to ensure you have fresh yeast to brew with this spring. You can find all the information you need to make your selections at http://www.omegayeast.com/. It may be cold now but it is time to start planning that hop garden for this spring! Once again this year Homebrew Supply is offering #1 quality hop rhizomes from Freshops. Pricing is $4.79 each or 6 or more for $4.29 each. 50% down payment required before order is placed. Orders due around the 1st of March. Rhizomes arrive in time for spring planting. Custom orders and in-stock yeast will be $7.50 per pack. I will be placing an order Friday November 27th with delivery by Friday December 4th. Wyeast Activator packs carry a 6-month shelf life from the manufacture date and includes a nutrient pack inside for faster starts. For the available strains, go to www.wyeastlab.com and click on the Retail tab. Then click on yeast strain guide and you will find all the information you need to make your choices. I will need your selections by Friday November 27th at 6 AM to assure your order is included in this shipment. Please note I only stock a limited amount of liquid yeast. Custom ordering ensures you have the fresh yeast you need to brew with. Please make your selections and let me know. Homebrew Supply will be having a demonstration day this Saturday morning November 7th from 8 am until 12 noon. Beer making demonstrations start at 8 AM. Wine and Mead demonstrations start at 11 AM. Come on out and see how easy it is to make your own beer, wine or mead at home. Demo day specials all day. $20 per kit will reserve them for you. Orders due by December 4th 2015. Winexpert LE15 Pre-order now open! I will be placing an order Friday October 2nd with delivery by Friday October 9th. Wyeast Activator packs carry a 6-month shelf life from the manufacture date and includes a nutrient pack inside for faster starts. For the available strains, go to www.wyeastlab.com and click on the Retail tab. Then click on yeast strain guide and you will find all the information you need to make your choices. I will need your selections by Thursday October 1st to assure your order is included in this shipment. Due to a family reunion next Saturday August 29th, Homebrew Supply shop and taproom will be closed all day. We will gladly take orders ahead of time and have them processed and ready for pickup by 6:30 pm next Friday August 28th. Please send them to me by next Thursday evening for processing. We apologize for this inconvenience and thank you for your continued support. We now offer Omega pure liquid yeast. Exciting new yeast strains produced in Chicago. 150 billion cells per pack. 50 % more yeast than others. - DIPA Ale strain (OYL-052). Vermont Alchemist double IPA Heady Topper strain.Now accepting custom orders through Thursday August 13th, 2015. Delivery the following week. So far brewers are reporting excellent results with these yeasts. Custom ordering guarantees that you have the yeast you need to brew. Looking for grapes for wine making? If you are interested contact them directly at the number below. Homebrew Supply of Southeast Missouri will be having a demonstration day on Saturday August 22nd from 8 AM until 2 pm. We will have several brewers demonstrating different brewing processes starting at 8 am. We will have a wine and mead making demonstration as well they will start at 11 AM. Light snacks provided. Come see how easy it is to make your own beer, wine or mead at home. I will be placing an order Friday July 17th with delivery on Friday July 24th. Wyeast Activator packs carry a 6-month shelf life from the manufacture date and includes a nutrient pack inside for faster starts. For the available strains, go to www.wyeastlab.com and click on the Retail tab. Then click on yeast strain guide and you will find all the information you need to make your choices. I will need your selections by Thursday July 16th to assure your order is included in this shipment. Please note I will not be stocking a lot of yeast in the future so make your selections and let me know. Homebrew Supply will be having a demonstration day this Saturday morning from 8 am until 12 noon. - DIPA Ale strain (OYL-052). Vermont Alchemist double IPA Heady Topper strain.Now accepting custom orders through Saturday April 4th, 2015. Delivery the following week. # 1 quality hop rhizomes for Spring planting. Taking your pre-orders now and until Sunday March 8. Reserve your order by sending an email to homebrewsupply@gmail.com. Payment not due until pick up. 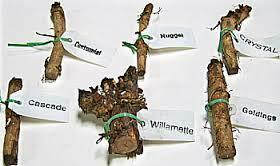 Rhizomes arrive mid-March and are ready to grow. Homebrew Supply is now offering Wyeast Activator liquid yeast for our customers. Pricing will be as follows:Custom orders and in-stock yeast will be $7.50 per pack.I will be placing an order Friday January 30th with delivery on Friday February 6th. Wyeast Activator packs carry a 6-month shelf life from the manufacture date and includes a nutrient pack inside for faster starts. For the available strains, go to www.wyeastlab.com and click on the Retail tab. Then click on yeast strain guide and you will find all the information you need to make your choices. I will need your selections by Wednesday January 28th to assure your order is included in this shipment.Please note I will not be stocking a lot of yeast in the future so make your selections and let me know. CHEERS!